We encounter it in grade school, high school, undergrad and grad school, and even as we move into the professional sphere. A deadline looms near and the stress sets in. You start to feel your pulse pick up. You rush around to get what you need. You may feel lightheaded as you notice that time has seemed to speed up. You become a little clumsy in your anxiety and actually start to fidget. We dread that final moment, but when everything is said and done, the relief sets in. Mission accomplished, right? Well, for some women, that’s not the case. Anxiety is typically what helps us prepare for important events and motivates us to action. It is defined as “a feeling of worry, nervousness, or unease, typically about an imminent event or something with an uncertain outcome.” We all know the feeling of anxiety before a date, or test, or important meeting. Usually, after the event, our anxiety disappears. But what happens when those brief encounters with anxiety become…less brief? Sometimes all it takes is a deep breath. Maybe even multiple breaths. Yes, it sounds corny, but sometimes when anxiety sets in, we feel like our breathing is constricted. That’s our body shifting into the “fight or flight” response associated with anxiety. Taking a second to measure your breathing can trigger your body‘s natural relaxation response instead. Focus on positive areas in your life. What activities do you enjoy? If you can manage, go ahead and take a break to do something that makes you happy. If you’re really feeling the pressure, then take a minute to visualize yourself enjoying your favorite fun things. Try shifting your brain from crazy overdrive to a peaceful afternoon on the beach. Then hold that visualization until you feel relief. After all, don’t you have a date with that cute guy you met last week after this is over? Take a break and get some tea. No, really! A tea with herbs like chamomile, mint, or lemon balm is a great place to start. The herbs have natural compounds that bind to brain receptors and act the same way as Valium. If tea isn’t your thing, then try an herbal supplement with valerian or hops instead. These herbal remedies have been used over centuries with positive results and minimal side effects. Sometimes just the thought of making it through the day fills you with anxiety. That’s not just when you’re thinking about a certain date that’s coming up or a big business meeting you need to prepare for. Anxiety sometimes becomes prolonged to the point where it affects your daily life in a negative way. This is a specific mental health issue called General Anxiety Disorder (GAD). It affects “6.8 million adults, or 3.1% of the U.S. population, in any given year. Women are twice as likely to be affected.” Our generation is a critical one and we are surrounded by sources who contribute to our personal anxieties. We stress over our hair, our nails, our bodies, and most especially, our futures! The little worries we have about what most of us find trivial can sometimes turn into one long panic attack for someone with a disorder. According to the Anxiety and Depression Association of America (ADAA), this guideline can help you determine if your anxiety is becoming a real issue. Anxiety is a natural occurrence. It can motivate and sometimes protect us. For most women, like myself, anxiety has always been present. “I wonder if I look okay? Is my hair too flat? Too frizzy? Do I sound funny when I talk? Does this outfit make me look like I’m trying too hard?” We critique ourselves sometimes to our own detriment. 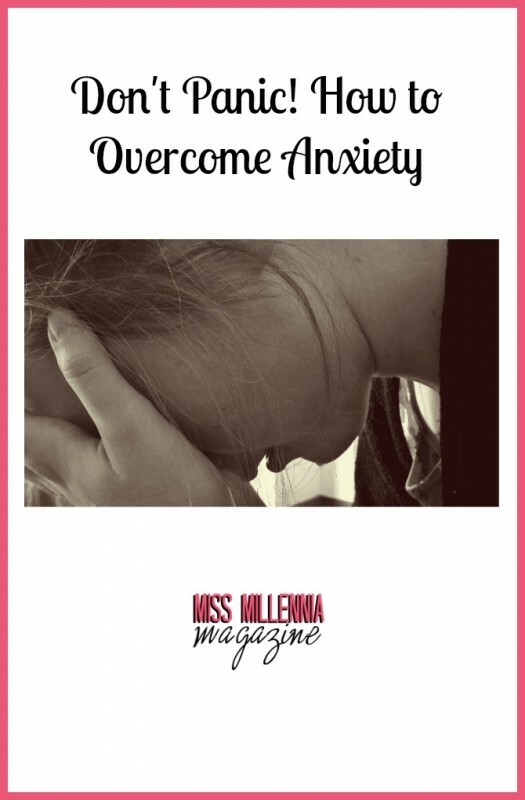 However, we can take control of our own anxieties; whether it be day-to-day concerns or an anxiety disorder. Research is what helped me overcome my anxiety disorder. I now know that I can be the solution to my own problems, and there are other people who feel like the same way! Becoming confident in yourself is a big help, and for a lot of us, that takes time and maturing. We all have our little things which give us that extra boost when we’re feeling stressed or nervous. For one woman it may be a signature scent that makes her feel better; for another, it could be a favorite pair of heels. The point is, you can overcome anything.